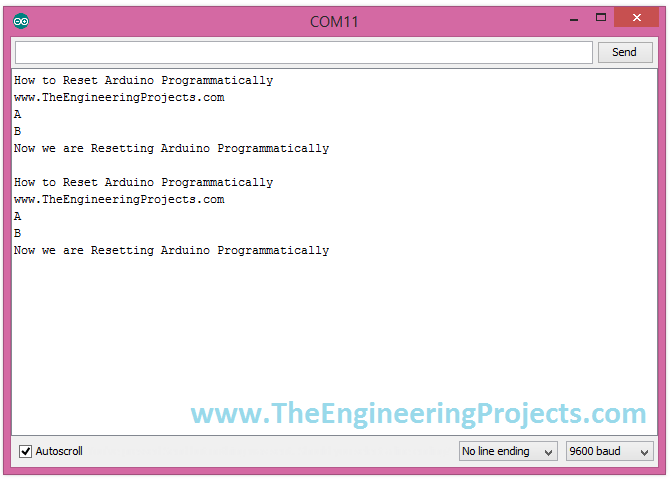 A complete step by step tutorial on How to Reset Arduino Programmatically. Hello friends, hope you all are fine and having fun with your lives. Today’s post is about How to Reset Arduino Programmatically. Sounds a bit weird, yes it is 🙂 but literally in some cases, this technique is the only choice you have. It recently happened to me in one of my projects, that’s why I know How important it is. Before going into details, let’s first have a look at the resetting feature of Arduino. 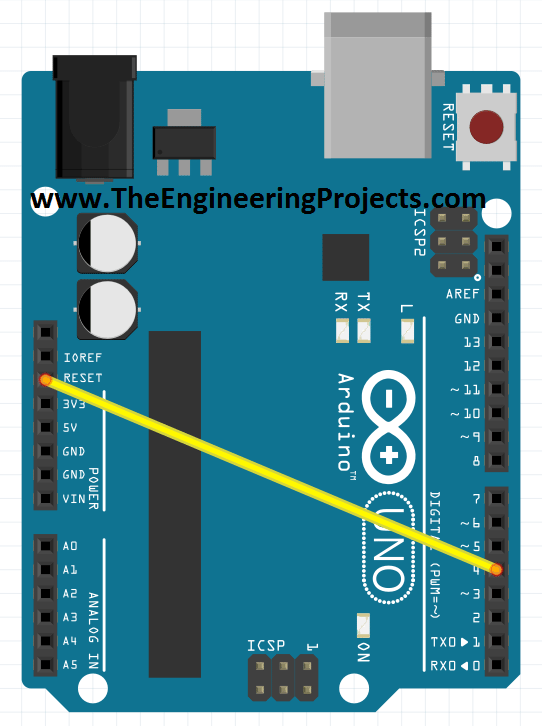 If you have worked on any Arduino board, then you must have noticed the RESET pin in Arduino and you may wonder what’s the use of this pin. So, today this pin is gonna get useful. Moreover, you have also noticed that when you uplaod the code in your Arduino board then the Arduino resets, another way of resetting Arduino is by opening the Serial Terminal in Arduino software, while connecting your Arduino board to your computer. As you open the Serial Terminal, the Arduino automatically gets reset. The third way of resetting Arduino is by pressing the push button. When you press and release the push button, Arduino gets reset. You should also have a look at How to get Hex File from Arduino. So till now we have seen three ways of resetting Arduino but you have noticed that all of these methods are manual, you have to manually push the button or to open the Serial Terminal or to upload the code. Now in some projects, we have to reset Arduino Programmatically, like we don’t do anything and it just reset itself automatically. Now how can we do that, that’s the topic of today’s tutorial. So, I am gonna share two methods today using which we are gonna reset arduino programmatically. So, let’s start with them. In first method, we are gonna reset Arduino Programmatically using the RESET Pin available on the Arduino board. As you can see in the above figure, our Arduino is not displaying the line ” Arduino will never reach there” and got reset and then display from start. So that’s how its gonna work. Now let’s have a look on the second method of How to Reset Arduino Programmatically. In this method, we are not gonna use any hardware pin, instead we will do everything in programming. So, if you don’t know much about Arduino Programming then you should have a look at Getting Started with Arduino Programming. Arduino has a builtin function named as resetFunc() which we need to declare at address 0 and when we execute this function Arduino gets reset automatically. So, no need of doing anything in hardware and simply upload the below code in your Arduino board. In the code you have seen that we defined the function resetFunc() and then where we call tht function, our Arduino get reset at that point. Is there a wayni Can i reset arduino using ir receiver and remote control? When using a pbno as a reset trigger, how can you write a code to tell the arduino on reset to wait 1 minute before starting up again. I am designing a smoke alarm and when reset is hit (when alarm is active) i want there to be a 1 minute delay before recalibrating. Mainly to allow smoke thatd left to dissipate.